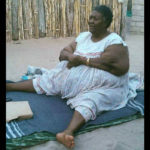 Kuku Ester Kwedhi well-known as kuku Lugondo, headwoman of the Otulupa village has died. 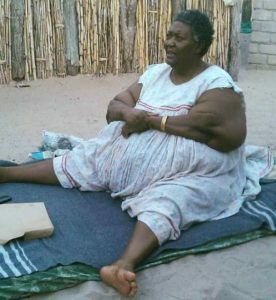 Prince Julius Stone Manya confirmed the untimely death and said Kwedhi, was admitted in the Intensive Care Unit (ICU) at the Okahandja State Hospital but unfortunately died at the age of 74 as a result of an illness that has plagued her for a long time. “She was admitted at medi-park last month and was later moved to Windhoek Central Hospital, before being released on the 15th of March,” said Manya. The late Kwedhi, according to Manya at the time of her passing was staying with her son Manya Salon. Kwedhi is survived by her husband Toivo Christian Manya and 10 children.